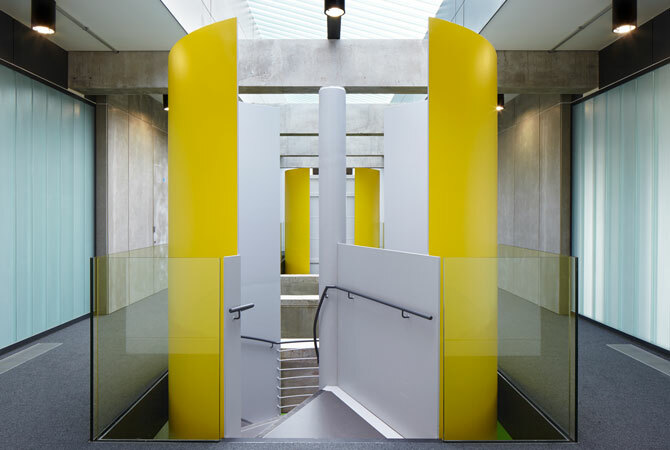 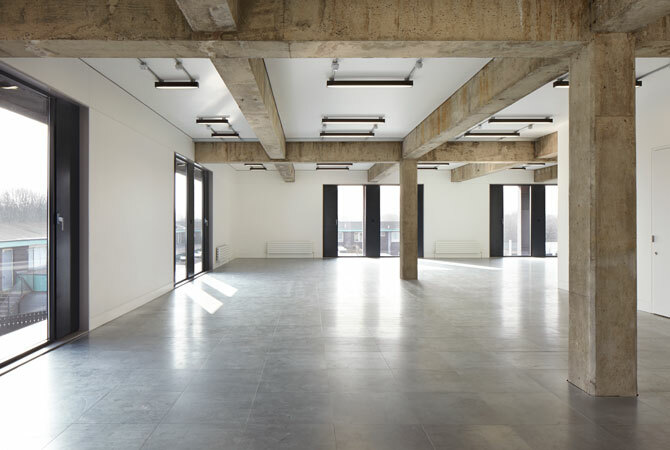 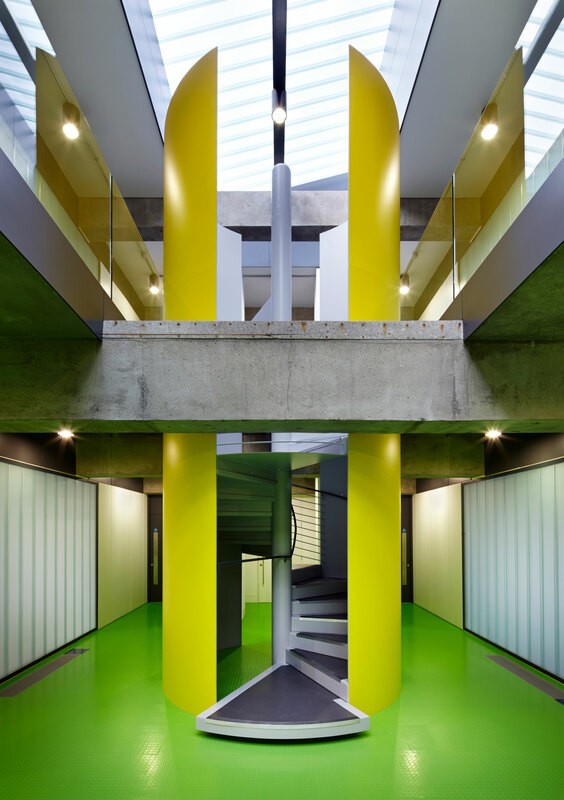 The former Littlewoods storage building known as the Bunker was remodelled to provide flexible office space for developer Capital and Centric. 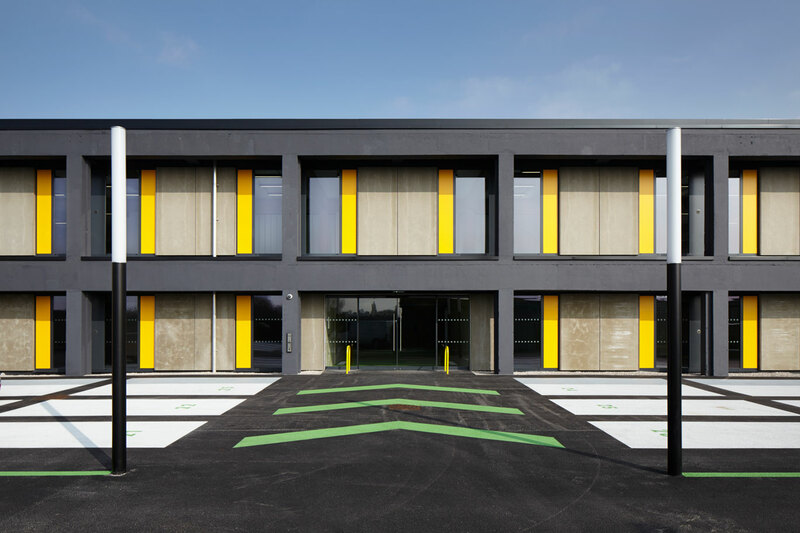 The character of the building is retained by pulling in the new building line to accentuate the existing concrete frame. 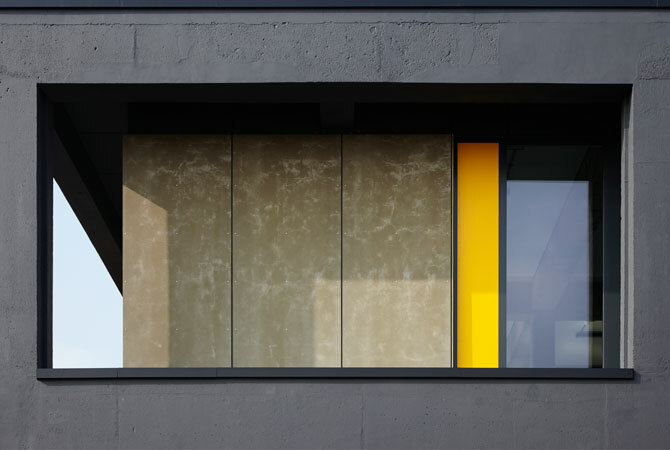 The external finish of dark grey painted concrete frame and grey cement particle boards is contrasted by yellow vent panels within the window frame components. 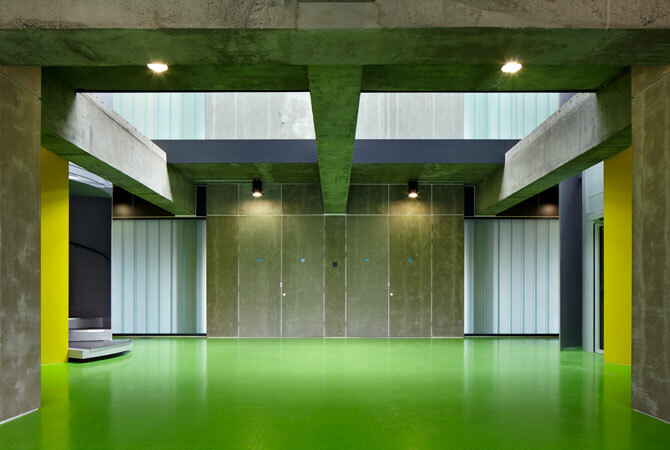 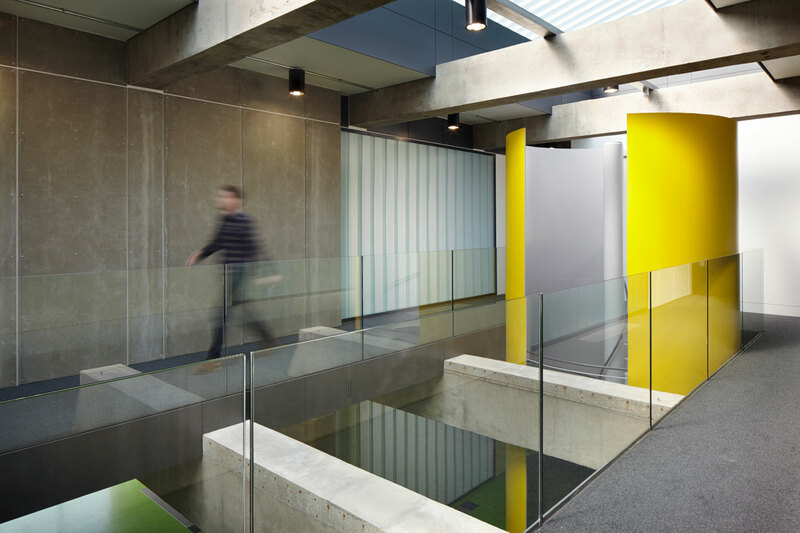 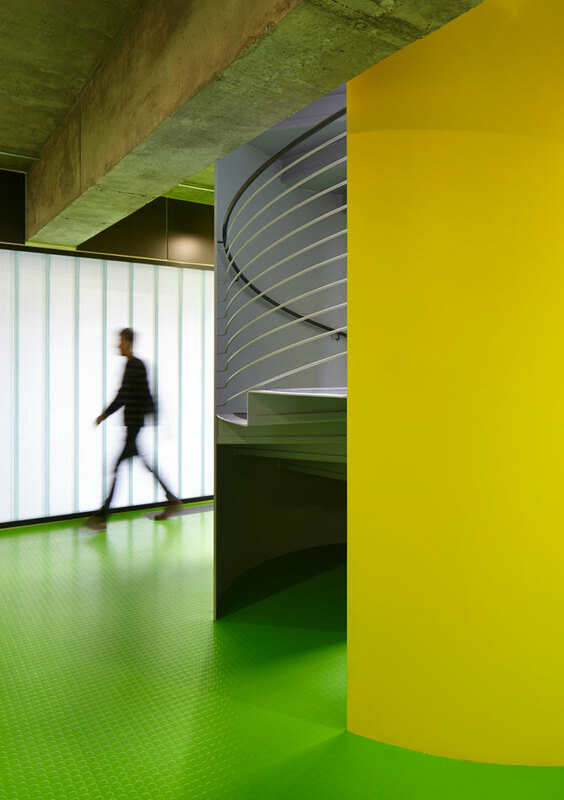 Internally, a reglit rooflight allows natural light into the centre of the building while reglit walls line the atrium feeding light into the office units. 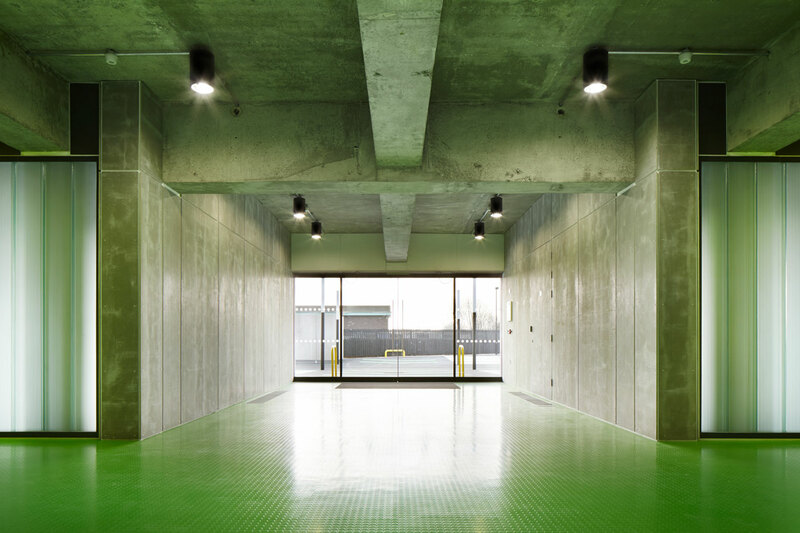 This diffused light is ideal for use in offices as the semi-opacity it creates provides a certain amount of privacy. 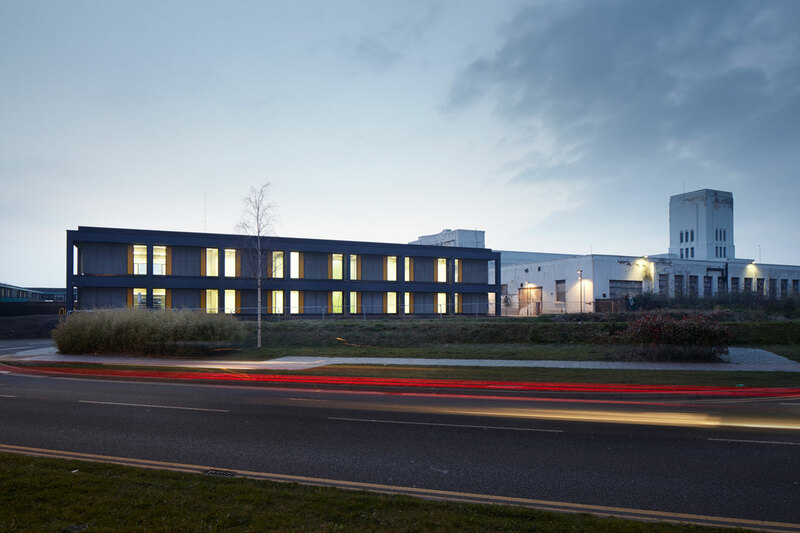 It is intended that the Bunker becomes the trigger for wider redevelopment of the neighbouring Littlewoods Building.